The emergency department is one of the most recognized areas of a hospital. Highlighted in TV shows like Gray’s Anatomy, ER, and House, you might know it as the place patients go after they’ve been in a car accident or have a heart attack. But outside trauma and acute life-threatening emergencies, the ED is also home to worried mothers with asthmatic children, patients suffering from violent gastrointestinal problems, repeat visitors seeking pain medication, and many, many more. The ED has a huge diversity of patients, and it’s the responsibility of an ED physician to be able to assess, diagnose, treat, and refer each new case – no matter the severity. Patients presenting to the emergency department typically arrive without scheduling an appointment. First, these patients are seen by triage. Triage exists to evaluate the severity of a patient’s condition, determine risk, and reduce emergency department crowding by allocating time and resources to the most urgent situations. More emergent cases like severe respiratory distress, cardiopulmonary arrest, or severe hemorrhages are addressed earlier while cases like headaches and rashes are less time-sensitive. After the patients are stabilized in the Emergency Department, they can be sent home and discharged or admitted to the hospital for further evaluation and/or treatment. The emergency room is a wild card, but acts as the first line of defense against sudden, unplanned changes in health. 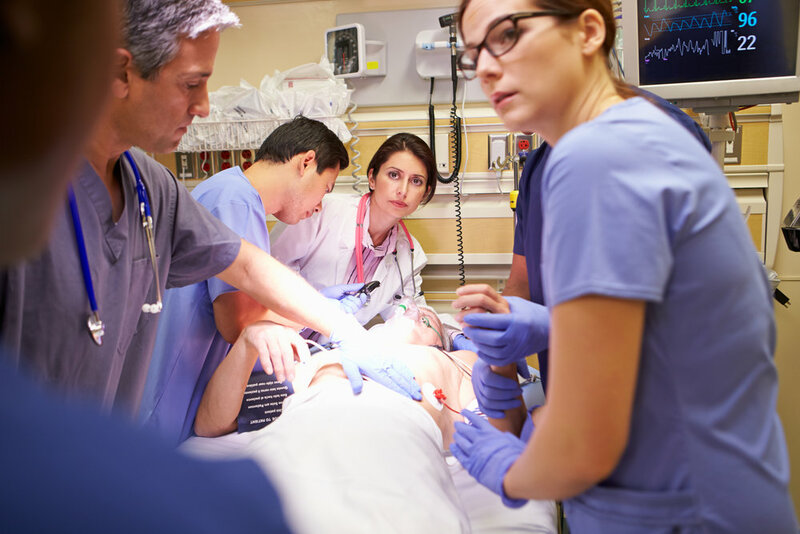 Attending Physician: An attending physician has completed their training in emergency medicine and leads the care team in the treatment and evaluation of patients in the ED. Emergency Medicine Resident: Emergency medicine residents have completed medical school, and are currently undergoing additional training specifically in emergency medicine. This residency training lasts 3-4 years and will lead to the resident becoming a fully-fledged attending physician. Triage Providers: Triage providers are responsible for screening and evaluating patients as they enter the ED. They assess and evaluate the severity of the patient’s condition and allocate resources appropriately. Advanced Practice Providers / Registered Nurses: The nurses in the ED are the support structure that keep the ED afloat. They are responsible for the day-to-day care of the patients and some have additional responsibilities for patient treatment under the supervision of the attending physician. Consultant Physicians: While most of the physicians in the ED are EM doctors, there are often cases that require specialized knowledge from other medical specialties. These physicians (cardiologists, neurologists, plastic surgeons, and more) can be consulted by the EM physician to provide specific skills and recommendations regarding patient care. Technicians: One of the key ingredients of the emergency room are tests – tests like X-rays, CT scans, and MRIs that allow physicians to get a better idea of what’s happening in the patient’s body. Technicians are responsible for coordinating these tests and making sure the ED works as it should. 1. Why is the structure of the emergency department important to care? What problems can you see that might come out of the current design? 2. What methods are in place to improve efficiency in the Emergency Department? 3. How do the different people in the Emergency Department interact? How might their interactions compare to different departments in the hospital? 4. What kinds of patients do you see in the Emergency Department? Is it what you expected? 5. Are patients involved in their treatment? If so, why is this important? And if not, how do you think they could be? There is arguably no place in the hospital with more long-reaching impact than the Neonatal Intensive Care Unit (NICU). The NICU, by definition, treats the youngest and often most vulnerable patients immediately after birth, literally changing health for a lifetime to follow. Innovation is one of the most important aspects of neonatal care; when reduced to its core, the NICU functions as a recreation of the womb through design. Technological innovation and creativity are paramount to the betterment of NICU care. Chief complaints in the NICU range from prematurity (and all the sequelae that accompany early birth) to a wide variety of congenital and complicated disease processes. “Premies” range from those just near full term to extremely preterm infants weighing only a few hundred grams at birth. While full term infants weigh around 7 lbs, extremely preterm infants can easily fit in the palm of one hand. What makes the NICU unique, especially from a design perspective, is both the unique size and problems of the patients as well as the length of stay. Every scale of design, from devices and beds to the very rooms and unit layout, can have a profound impact on both care of the infants and well being of the families. While most NICUs have “bays” whereby all infants are placed next to each other in one large room, Women & Infants is comprised of two beautiful and spacious floors where each baby has their own private room—a design change meant to prioritize parental care and privacy within the hospital. Spending even a small amount of time in the NICU can demonstrate the impact of design in healthcare. Without a doubt, design CAN save lives. Attending Neonatologist: a pediatrician with advanced training in the care of sick and/or premature newborns. They typically lead the care teams and conduct research. Neonatology Fellow: a graduate of pediatrics residency selected for a 3-year subspecialty training program in the care of sick and/or premature newborns. They will become an attending after their training and will coordinate care for the infants alongside the attending. Pediatric Resident: medical doctor who is training to be a pediatrician. Under the guidance of the attending and fellow, they will help with the management and care of infants. Neonatal Nurse Practitioner: an advanced practice nurse with specialized training in the care of sick and/or premature newborns. They are often the primary caretakers of the infants for their 24/7 needs. Bedside Nurse: often with years of experience, these nurses provide the continuous care and monitoring of infants necessary for any NICU to be successful. 1. How does the room environment create a good bonding atmosphere for mothers? Are their ways through design to facilitate maternal/fetal bonding? 2. How does the layout of the NICU facilitate care? 3. What design devices are implemented to make a long term hospitalization more comfortable for families while still providing the best medical care? 4. What specific devices and instruments are used to recreate the womb environment? 5. What technologies are most commonly utilized during procedures? Dermatology is an exciting field where the variety of conditions managed is unmatched. The specialty itself revolves around the medical and surgical aspects of problems involving the skin, hair, and nails. In the same day, a dermatologist could have patients with diagnoses ranging from infectious to inflammatory to neoplastic and then also perform procedures including surgical excisions or laser treatments. On the other hand, some dermatologists subspecialize in areas including Mohs surgery (microscopically controlled surgery), cutaneous oncology, immunodermatology, procedural and cosmetic dermatology, dermatopathology, pediatric dermatology, dermatology/rheumatology, advanced/complex medical dermatology, or dermatoepidemiology to provide expertise in a more specific area, given the breadth the field offers. Dermatologists mostly work in outpatient clinics, but may field inpatient hospital consultations as well. Many clinicians are actively engaged in research to further advance the specialty for patients and the profession. As it stands now, dermatology is a rapidly evolving field. Teledermatology platforms are increasingly being incorporated, new injectable medications for some of the most challenging conditions have shown promise, imaging modalities are being further refined to better define lesions of interest, and more complicated dermatologic surgical procedures that were traditionally performed in operating rooms are now possible in outpatient settings. Not only is there room to grow in these areas, but the possibilities of improving the quality of practice extend to simplifying workflow, addressing patient volume/wait times, and increasing patient adherence/follow up. Creative design can lead to significant advancements in professional practice and patient care. 1. What are the common and challenging chief complaints? 2. How are patients examined during routine skin assessment? 3. What type of checklists are dermatologists using? 4. What are routine procedures performed by dermatologists? 5. What are the gaps in care (if any) from appointment to appointment? Surgeons employ operations in the treatment of disease or injury. Surgery can involve cutting, abrading, suturing, or otherwise physically changing body tissues and organs. Most surgeons enjoy a range of perspectives in their practice, from seeing patients for consultations or check-ups to performing these various procedures in the operating room (OR) setting. Beyond general surgery, fields of specialty surgery include cardiothoracic surgery, colon and rectal surgery,, gynecology and obstetrics, gynecologic oncology, neurological surgery, ophthalmic surgery, oral and maxillofacial surgery, orthopedic surgery, otorhinolaryngology, pediatric surgery, plastic and maxillofacial surgery, urology, and vascular surgery. 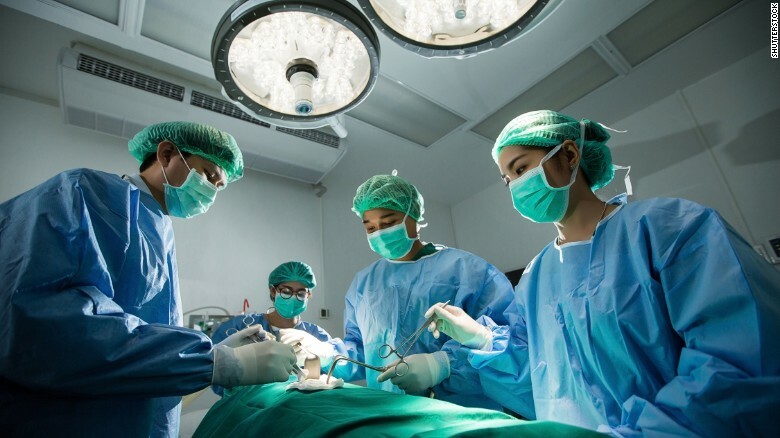 Surgery is a special field, notably from a design point of view, due to the need for solutions within both the office and surgical suite settings. One can also look at solutions on both a micro and macro level—from specific instruments to the way those interact with the OR or surrounding hospital space. Due to the demands placed on surgeons themselves, solutions can reach beyond those that just improve the patient outcomes but those that also make the surgeon’s job more feasible or enjoyable as well. Though often, improvements for the surgeon’s job are realized in the form of better patient care. Attending Surgeon: a surgeon with advanced training who completed surgical residency and often a fellowship. They lead the care teams and conduct research. Surgical Fellow: a surgeon in training who completed residency and is training in one of the various specialties listed above. Surgical Resident: a surgeon in training who is completing a minimum of 5 years of residency after medical school. Anesthesiologist: a medical practitioner trained in anesthesia and perioperative medicine, who reduces patient pain before, during, and after surgery. 1. How are patient vital signs taken during surgery? 2. Which are routine tests performed during surgery? 3. What types of checklists are the surgeons using? 4. How is the OR different from other spaces in the hospital? 5. How difficult is it to keep the procedure sterile?